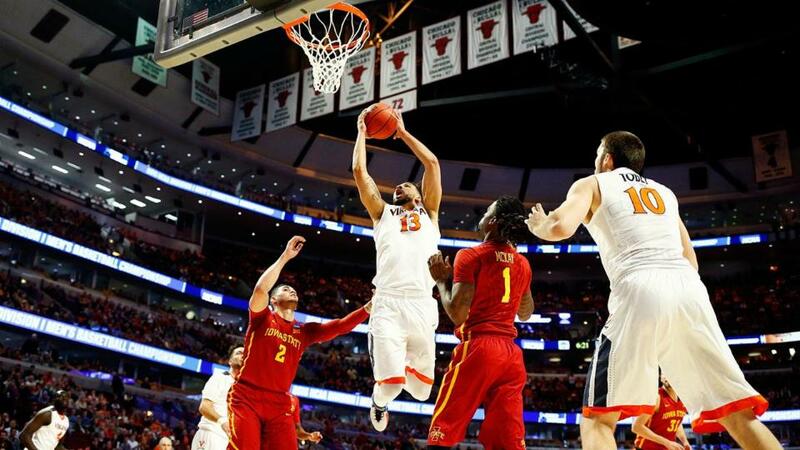 Anthony Gill finished with a season-high 23 points, Mike Tobey came off the bench to score 18, and top-seeded Virginia beat Iowa State 84-71 in the Midwest Region semifinals on Friday night. The Cavaliers (29-7) withstood a second-half push by the fourth-seeded Cyclones (23-12) after grabbing a big lead in the early going and advanced to their first regional final since 1995. Virginia will face Syracuse or Gonzaga on Sunday. A win would send the Cavaliers to their first Final Four since 1984, when coach Tony Bennett was a teenager. Georges Niang had another big game for Iowa State, finishing with 30 points after scoring 28 against both Iona and Arkansas-Little Rock in the first two rounds. But an up-and-down first season under coach Steve Prohm ended on a disappointing note. With a chance to go farther than they ever did under predecessor Fred Hoiberg, the Cyclones never could recover from a flat start.